New! 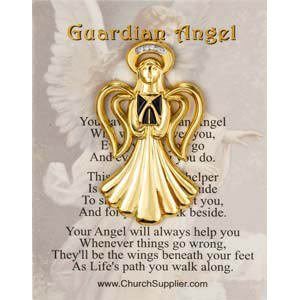 This singing guardian angel pin or praying angel pin is gold plated finished and 1 1/2 inches high. 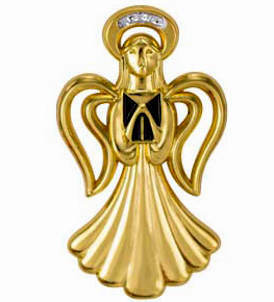 It has silver glitter in her halo and comes on a story card. 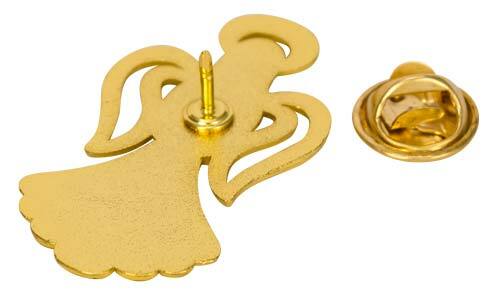 Wearing this music angel may help you hit each note.